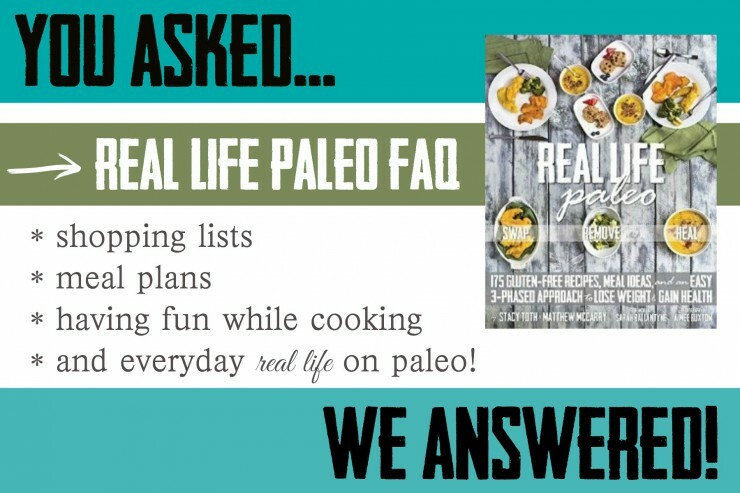 Here is an FAQ to some of the most frequently asked Real Life Paleo questions! 1. Where can I find the book? The book should be available in all US Barnes & Nobles and quite a few independent stores. Of course your local bookstore can also order it for you if you would like to pick it up locally. It is also online on both Amazon, Barnes & Noble, and Book Depository (international). AND, we’ve got breaking super exciting news to share! 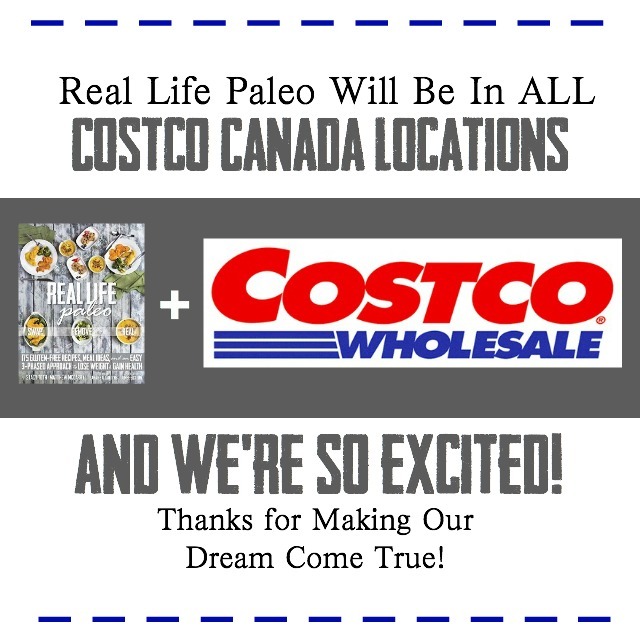 Coming in a couple weeks (just have to wait for stock to ship) ALL English speaking Canada Costcos will be carrying Real Life Paleo too!! I cried tears of joy when I heard this news. 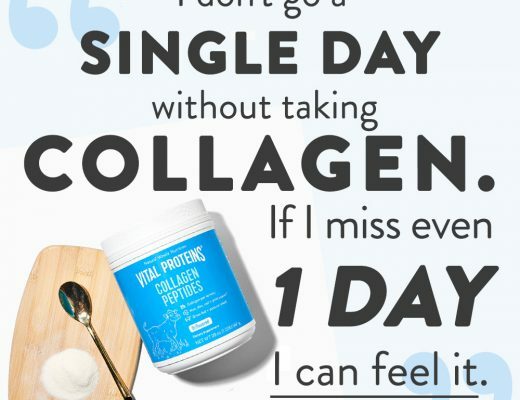 It has literally been Matt and I’s dream that we could be able to provide “regular families” with a tool to change their health the way that we were able to change ours. 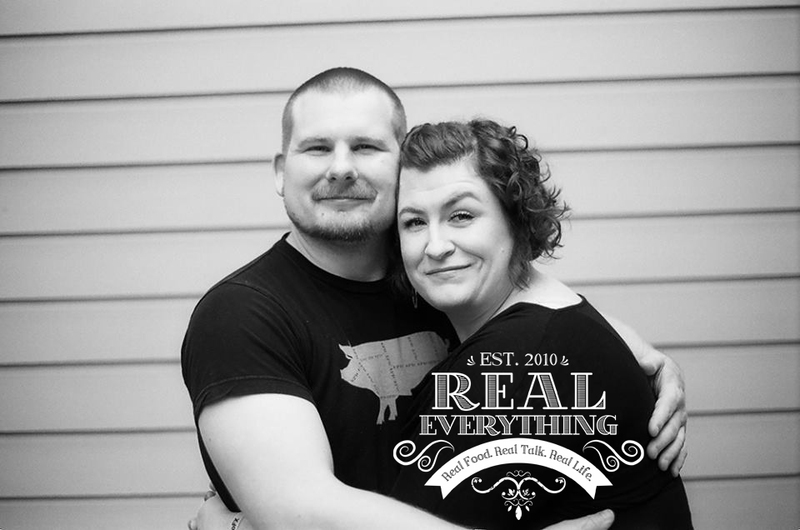 We wrote Real Life Paleo with the hope that it could reach the masses who are tangentially interested in eating real food or a Paleo lifestyle, but have been too intimidated to try jumping all in. We truly believe this book can be a catalyst to change lives. We hear from so many people that short term 100% perfection “challenges” just don’t work for them, especially families. 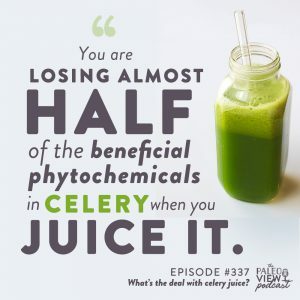 Or that many individuals do those 30 day or 21 day programs and then fall face first into a basket of donuts after, finding it then incredibly difficult to get back on the path to Paleo perfectionism. 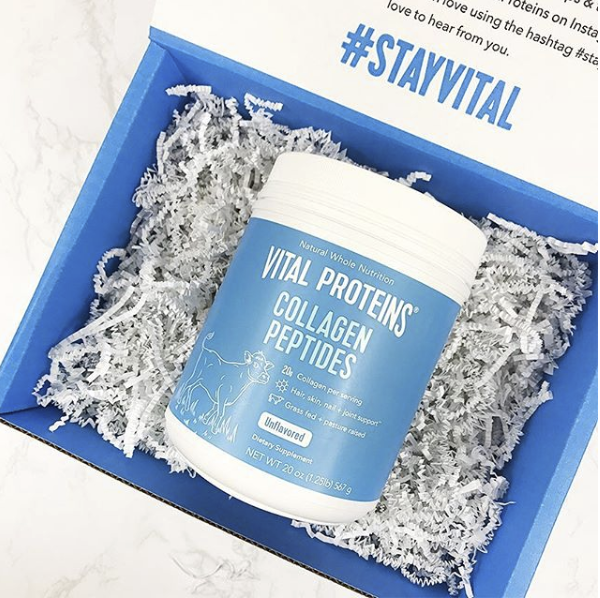 Now Real Life Paleo is the first alternative resource to the all-in-rip-the-band-aid-off approach. Hearing that Costcos will carry this book has the potential to mean wonderful things for the average person looking to make a change for the better but not able or willing to make all those changes at once. 2. Are the Meal Plans and Shopping Lists in Real Life Paleo available online for me to download and print? Yes! 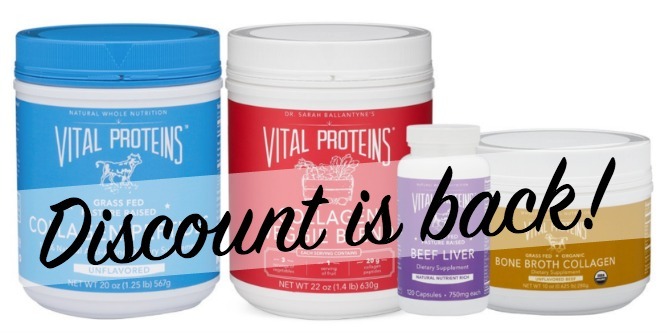 Real Life Paleo includes Meal Plans for each of the 3 Phases, which can all be found here. Additionally, we created Shopping Lists for each Phase’s meal plans but were unable to fit them into the book because we ran out of pages! You can find, download, and print the Shopping Lists for here. 3. What is the difference between a Meal Plan and Meal Idea? 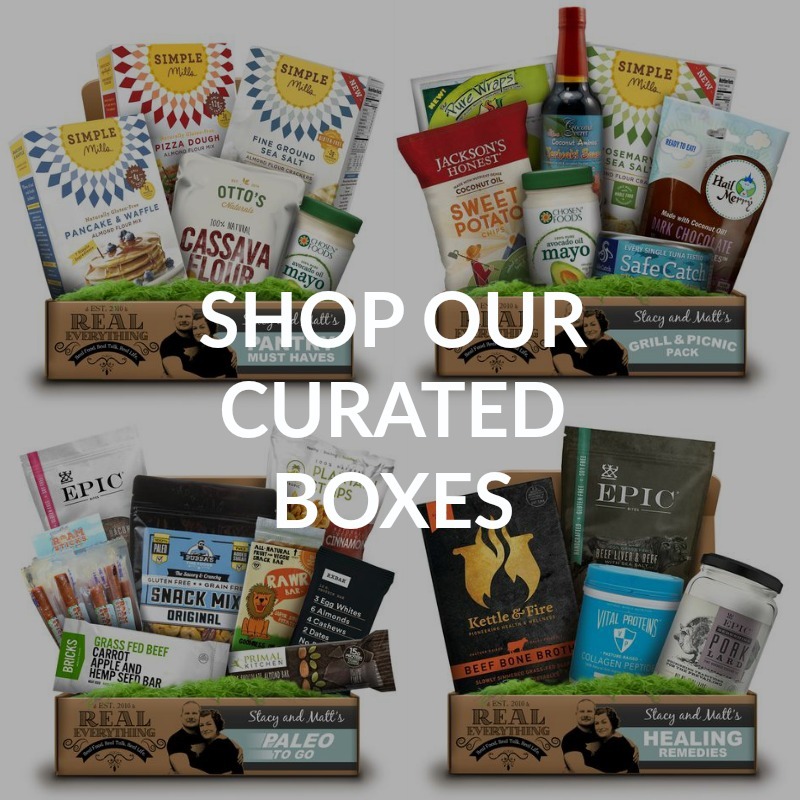 Real Life Paleo offers you something unique and unprecedented in Paleo cookbooks – even any cookbook I’ve ever seen. It offers you an opportunity to see how WHOLE MEALS are set on a table with our Meal Ideas. We offer at least 1 idea each for breakfast, lunch, and dinner in each Phase (21 total). We give whole table settings with the associated menu using recipes from RLP and then a whole bunch of ideas on how and why we devised the menu, what to do with leftovers, and how to save yourself time when preparing it (we have a whole post on it here). 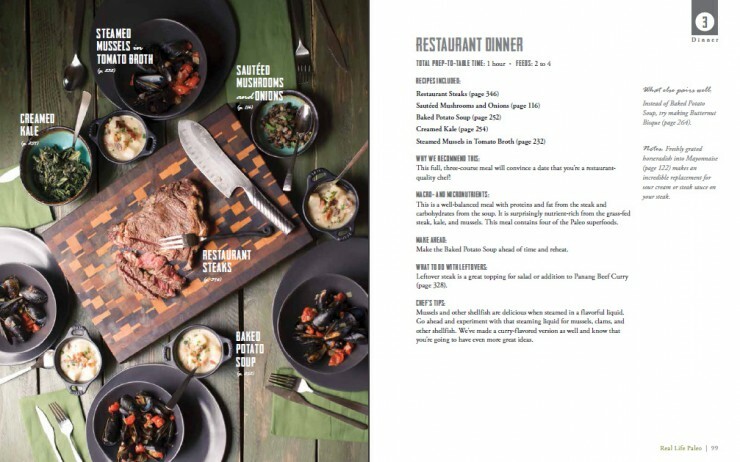 From Chef’s Tips to Macro and Micro-Nutrient information, the Meal Ideas are intended to help people understand how to set their table with nourishing Paleo foods instead of just offer recipes. Meal Plans are weekly plans for all meals: in our case we provide these plans for one week in each phase. Our Meal Plans suggest tips for doubling some recipes to save you time in the kitchen, which enables you to use leftovers for future meals and other neat tricks for busy lives! 4. Is Real Life Paleo available as an e-book? Yes! 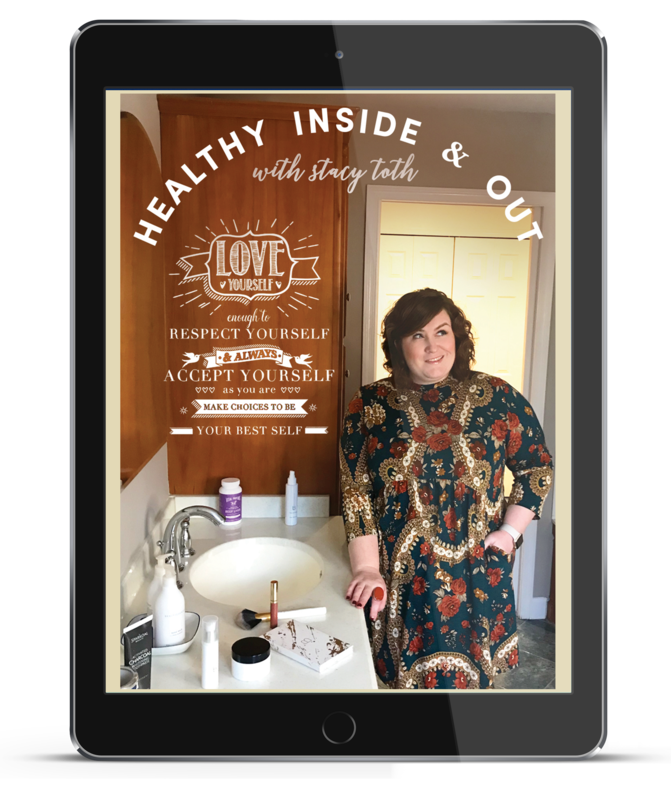 Real Life Paleo e-book can be purchased for both Kindle (Amazon) and Nook (Barnes and Noble). Although we HIGHLY recommend you purchase a paperback version because of the tear-out guides and then you don’t have to worry about food splattering on your device while you’re using it to cook! However, I personally almost always also buy a kindle edition to my favorite cookbooks so that I have all recipes on my phone (or tablet or ipad) when I’m grocery shopping, which makes remembering to write a list of ingredients a thing of the past! 5. 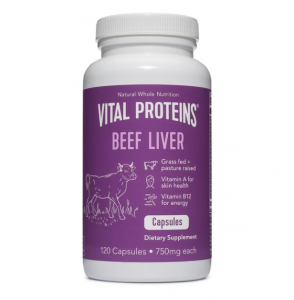 I’m not new to Paleo, will Real Life Paleo still be useful for me? Absolutely! Of course we developed and wrote the 3 Phased Approach of Real Life Paleo with beginners in mind, but we have heard over and over again from people how very helpful this book is in 1) helping them develop and continue their journey because Phase 3 is a missing component of almost all Paleo resources – it’s focus on 7 Paleo super foods as well as lifestyle factors is pretty darned unique and 2) the 175 recipes are amazing, easy, flavorful, simple, and the gorgeous food photography is an equal match to how absolutely delicious it all is! 6. Does Real Life Paleo have a lot of recipes that contain nuts, eggs, nightshades, and other allergens? 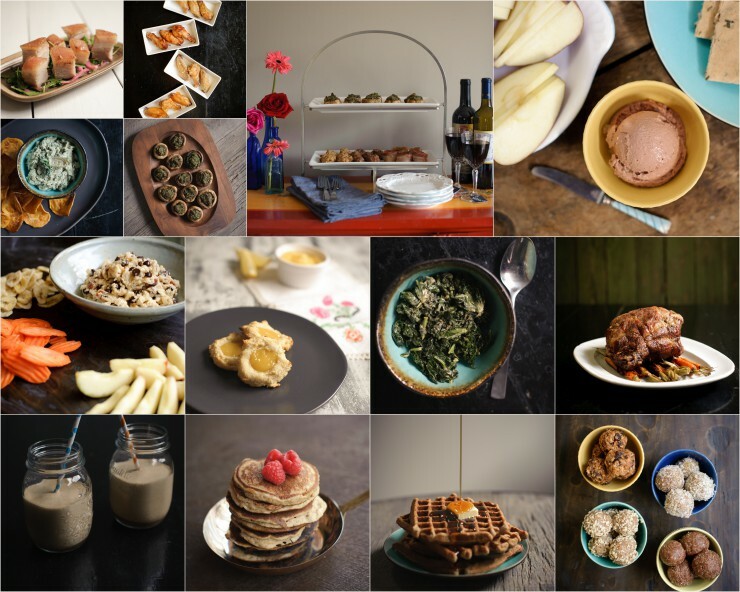 Like our first book, Eat Like a Dinosaur, RLP focuses on a LARGE number of recipes being nut-free, egg-free, and nightshade-free. 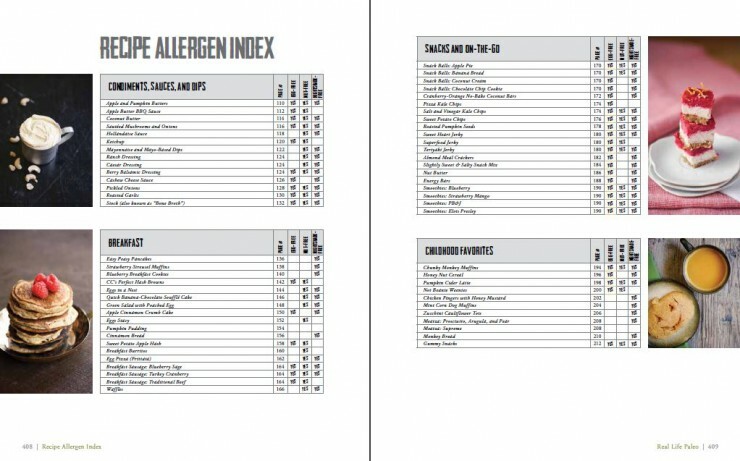 We’ve marked it not only on every single recipe page, but also created allergy indexes in the back of the book. You can learn more and see all the specific indexes with a listing of all the recipes here. 7. I’m SUPER busy, will Real Life Paleo help me not be in the kitchen forever and always? Dude, no seriously, this book was written for you. We’ve been hearing from a LOT of people (both reviewers and individuals already using and loving the book) how very apt the name Real Life is for this book. 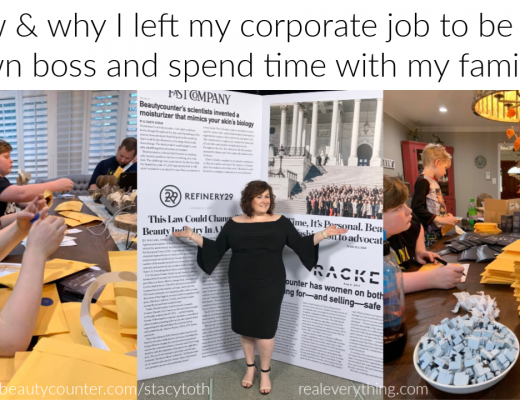 It’s made BY busy people FOR busy people. We know ALL about making dinner easy and this book focuses on using simple ingredients in easy preparations – highlighting dishes that use 5 ingredients or less, can be made in under 30 minutes, or even a large number of one-pot meals. Best part? 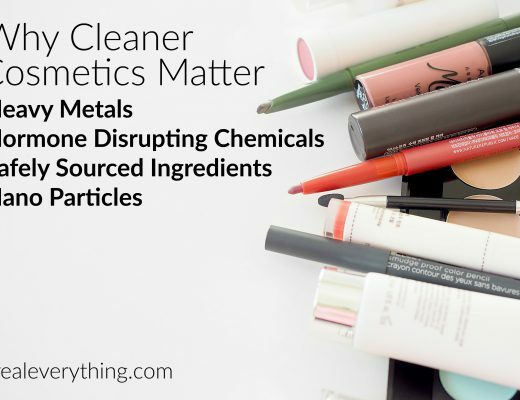 They’re all noted on every recipe page AND Chapter Divider Table of Contents – we show you all of them here in this post! 8. 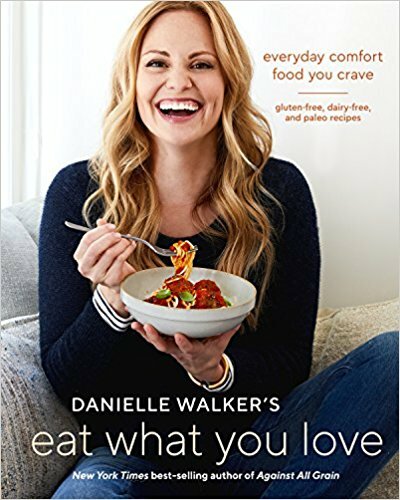 With the holidays coming up, will this book help me plan a family-friendly menu that even my non-Paleo friends will still enjoy? Absolutely! 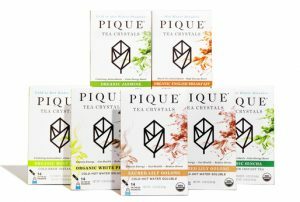 Popular Paleo was so impressed she created holiday menus for her review (here) of the book because it made so much sense for her to do so on her own! We have a post coming in the near future with complete menus for our recommended menus for Thanksgiving, holiday gifts, Christmas Brunch, and New Year’s. We can’t wait to share them – check out these photo previews! 9. What’s your favorite recipes from the book? 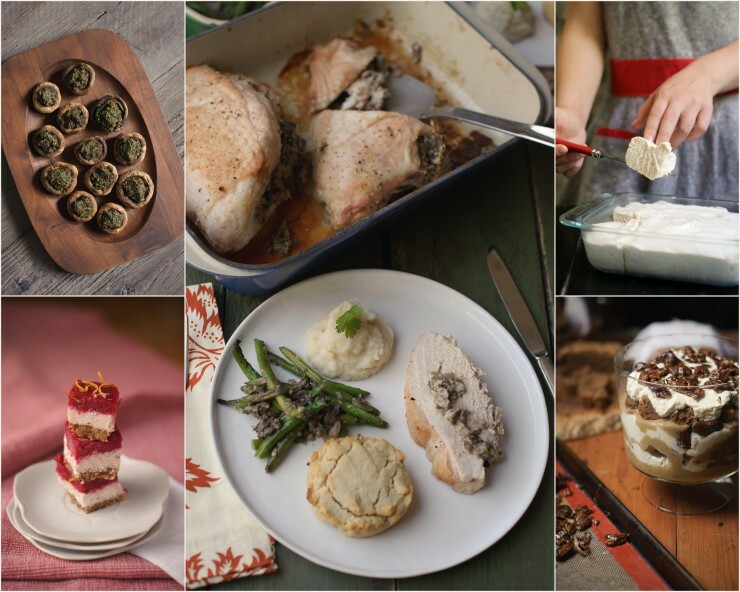 *note: these recipes are all available on our blog! 10. 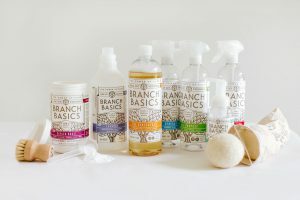 Are any of the book’s recipes on your blog available to “try before we buy”? Yes. 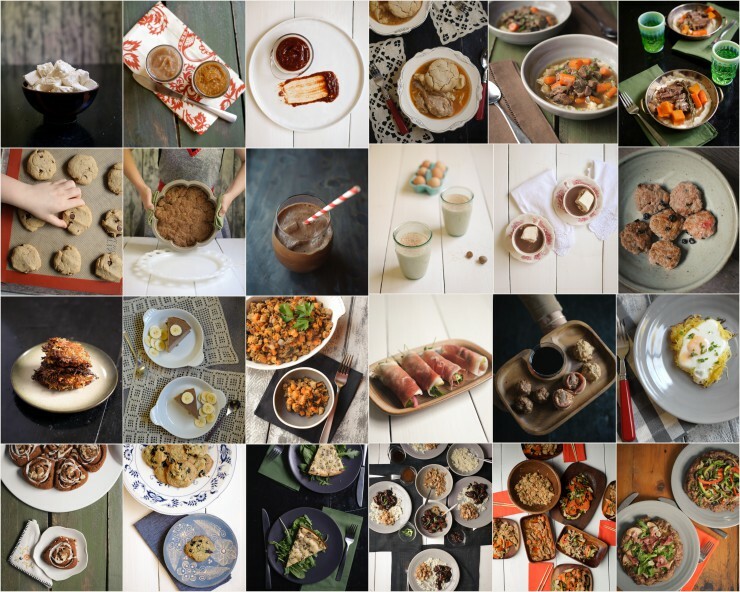 About 20% of the book’s recipes are on our blog, you can find a list of them all here. 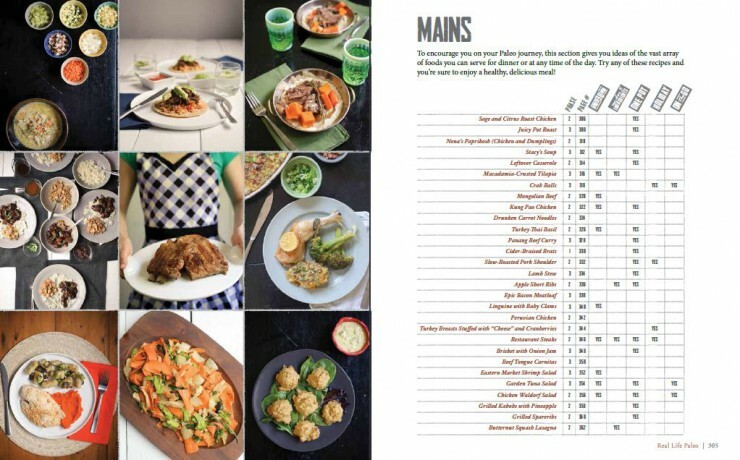 We purposely added our “fan favorite” recipes in the book because we’d heard from so many people that some of the recipes they use over and over again they’d love to have in a paper book. The rest of the 139 recipes are all BRAND NEW and can ONLY be found in the book!